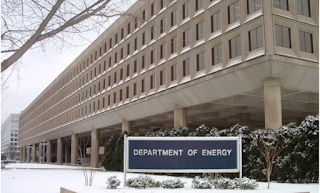 The U.S. Energy Department (DOE) defended its assessment of the $750 million it collects annually from the nuclear-energy industry for waste disposal even as plans for a permanent repository remain uncertain. DOE has submitted the assessment to the U.S. Court of Appeals in Washington, which on June 1 said the agency’s 2010 determination justifying the fee was “legally defective.” It directed the department to re-evaluate whether it collects too little or too much revenue from utilities to dispose of nuclear waste. The National Association of Regulatory Utility Commissioners, which opposes collection of the fee, said it is still reviewing the department’s filing with the court. The case is National Association of Regulatory Utility Commissioners v. U.S. Department of Energy, 11-1066, U.S. Court of Appeals for the District of Columbia. The Energy Department has conducted a rigorous review of the adequacy of the Nuclear Waste Fund fee, as directed by the D.C. Circuit, and determined not to propose an adjustment to the fee. The Nuclear Energy Institute, a Washington-based industry group has protested having to pay the fee without a disposal site being made available. President Barack Obama’s administration in 2010 ended funding for Yucca Mountain, a proposed repository about 100 miles northwest of Las Vegas, leaving plans for a permanent disposal site uncertain. The Energy Department said its endorsement of a plan to develop interim storage facilities before a permanent geologic repository is found -- as recommended by a commission on waste Obama set up after pulling the plug on Yucca -- shows the U.S. is committed to taking the waste from utilities. That justifies the continuation of the fee, according to the department. The waste fee is tied to the department’s obligation to take and dispose of nuclear waste, “not the Yucca Mountain project,” the department said in the filing.